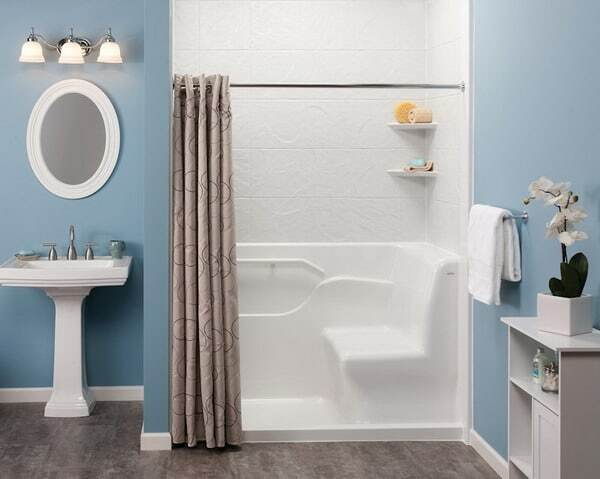 Are you considering remodeling your bathroom to accommodate a wheel chair accessible person? Or you might be designing an accessible bathroom in a new place. Either way, the following tips will come in useful in the design stage and save you headaches after the fact. For the purposes of this article we will assume the rest of the house is accessible and we'll be focusing on the bathroom only. Disabled accessible bathrooms should allow same level (no steps or other obstacles), wheelchair friendly easy entrance and exit. The ideal door entrance size for a wheel chair accessible bathroom is 36". It might not be possible to accommodate this size but you should not go below 32", otherwise it becomes impractical. You might want to consider using pocket or sliding doors. If you must use a traditional door make sure the handles are levered for ease of use. For the toilet itself, keep in mind two things: height and shape. The toilet seat needs to be chair height (18") and it should have an oval shaped bowl. Grab bars are also a must and will have to be properly installed to support extra weight. Some wall reinforcement might be needed for this step. A wheelchair needs at a minimum 48" to turn around area and by standard it is 60". The most vital dimension is the width or area in front of the sink and toilet, which needs be 60" minimum. Grab bars should be on at least one wall next to the toilet so the person can lift himself or herself. For a wheelchair user, a sink at a height of 30 - 34 inches is ideal. In addition, for wheelchair users the space underneath the sink is needed. In that case a person in a wheelchair can roll up to the sink. Also consider using levers on the hot and cold-water taps, which make them easier to turn on and off. Average bathtubs have numerous obstructions for the disabled user. There are a few options to overcome these obstacles. If the wheelchair user is going to use the tub option, then a device to raise and lower the individual will be required. These have to be properly designed and fitted. Roll-in showers are also an option, where person can enter the shower in a wheelchair. A fold-down seat will be required for this option and as discussed before the proper installation of grab bars will be required. Some thought and consideration must be given to the placement of light switches and electrical outlets. Switches MUST be at an easily accessible height. Consider using fluorescent light bulbs or LED's for long life as the wheelchair bound individual is going to need help in switching bulbs. When it comes to remodeling or designing for a wheelchair accessible bathroom, the above tips will provide some guidance in getting the result you want. Hope you found this helpful.